HomeWhy does boot camp need to be so intense? 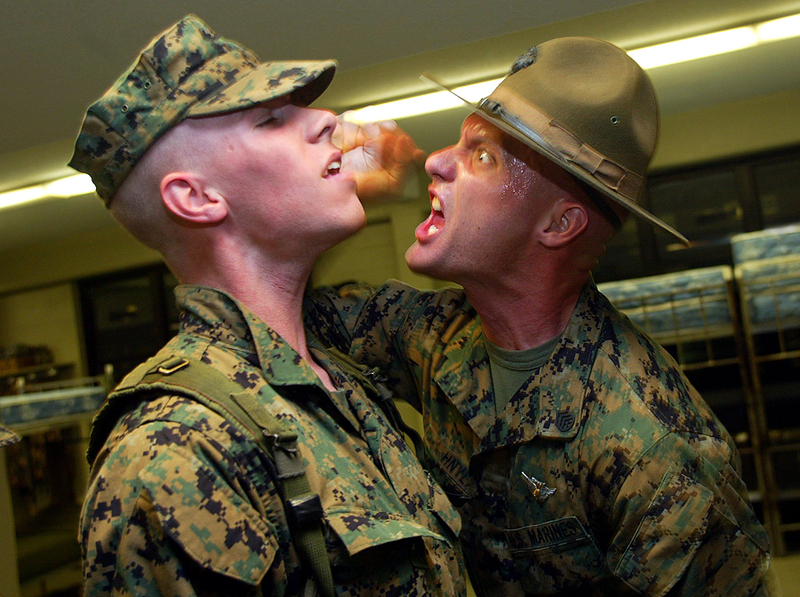 Why does boot camp need to be so intense? The fundamental question to why good military boot camps are so intensive is “what rationale is there for the severe treatment and methods they use?” This has an extremely simple answer, and one which explains the mission, and the extreme nature behind why boot camp is one of the one places in peaceful society where such extremes are allowed, and in fact, needed. The reason that boot camp exists is that our society has to train 18 year olds to run to the sound of gunfire and perform under fire and the threat of death. One enters America, whether by birth or by boat, with the ingrained belief that they will be free to prosper and grow to the limits of their personal achievement, free to express themselves, free to believe as they wish, and free from persecution for any of this. It goes without saying, and often isn’t said enough, that this prosperity and personal freedom isn’t guaranteed, but requires certain members of the society to, in as many ways imaginable, temporarily abandon their freedoms, many of their liberties, and rarely though realistically, even their lives, so that all others may continue to experience the boundless peace and prosperities life in America provides. In viewing this, many would argue that boot camp itself is the antithesis of the American Experience; it forces individuals to become, on the surface, indistinct and to act and think as a unit; it disallows those who subject themselves to it to a life where they don’t get to choose where they live, what they do with their lives, or even if they are put in the line of danger;it forces non-violent children into becoming violent men. More so than this, it molds them to embrace this personal sacrifice. You need to imagine what is expected of someone who goes there. In modern warfare you have people too young to legally buy a beer fighting the wars that we go through year after year. Boot camp is designed to reprogram civilians and those closer to childhood than to being adults into warriors. They are expected to be those that commit violence in the name of others.This is a very hard thing to do. Boot camp places within them a sense that they are expected to do important things, far more important things than could be expected from other 18 year olds. All this happens during one of the most intensely stressful periods of a young person’s life, where they are isolated from contact from family and friends and can’t lean on their comfort for support. Here they must make the transition from a person of no real value to society, to one of great martial prowess and symbolic meaning, as well as a very real threat to those who would endanger their nation. To do that very act, however, we need a form of psychological training that is able to forge individuals who can achieve the act. That is why boot camp has evolved to become such a potent tool in today’s military machine. The psychological transformation of boot camp is extremely intense and an intentional effort by the Marine Corps to make warriors able to fight and kill from a stock of peaceful children who have just barely left high school. Realistically, this has been a practice for centuries. The need for warriors and the nature of who has done the fighting has changed little and likely won’t change in any near future. Drones, stealth, atomic warfare, and high-tech weaponry haven’t changed this and likely won’t in the near future, either. There will always be the need for young men who are willing and able to run to the sound of imminent danger and many, to their death. Nations need this. You, reading this now, need this. It is a horrible thing, but the sanctity and security of every nation on Earth requires young men and women capable of doing this – running to the sound of gunfire and perform under fire and the threat of death so that they may commit violence on our behalf. ← Memorial Day is Too Depressing. Efforts Now Underway to Make it Fun Again. I definitely think it helps structure the young and the weak. But today’s “CAUSE” is PTSD. PTSD is definitely a topic to discuss. It hurts to know our Service Men/Women have to suffer with no backing from the Country from which they endured this illness from. People need to try and understand them and be more sympathetic to their needs. I’m bringing awareness to a Service Member that is in need. Please help support him and his family by visiting this site, making a donation and spreading the word so others can equally visit. The more visitors the faster this Service Member can be released from one Mental Stress and focus on the help needed. So visit and share, even write a story so others can visit.